There is more to creating the perfect cinema than high quality pictures and sound. The finishing touches are just as important to make your cinema special. One of the most important considerations is the seating. To assist with this issue Custom Install Limited supply bespoke seating solutions from the most renowned manufacturer in the market, Elite Home Theater Seating. 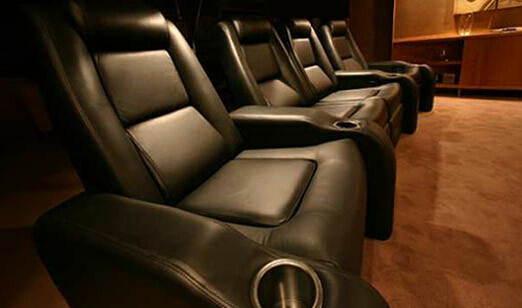 Elite make purpose built motorized cinema seats out of premium grade upholstery. Comfort and functionality are top of the list and when we say comfortable we are not kidding. The cosseting experience of sitting in one of these seats is second to none. 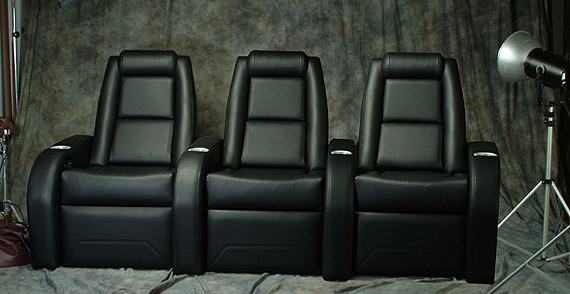 The premium grade foam and upholstery, along with the unique reclining system make these seats the most comfortable seats you will ever sit in. For further information about Elite Home Theater Seating call Guildford 01483 234800 or see the contact page and ask about our design and installation service.